In June, QVC is celebrating its 32nd anniversary but the gifts are for you. Visit qvc.com/Sweepstakes and enter the QVC 32 For You Sweepstakes for your chance to win $1,000 a day or weekly prizes from some of QVC’s most popular brands. Ends: 11:59:59 PM ET on June 30, 2018. Eligibility: Open only to legal residents of the 50 United States and the District of Columbia, who are 18 (except Alabama and Nebraska 19 and 21 in Mississippi) years of age or older as of date of entry. Thank you so much for the opportunity! I HOPE THAT YOU CHOOSE ME, FOR 1 OF YOUR PRIZES! Safeway Monopoly 2019 (ShopPlayWin.com): SHOP, PLAY, WIN! 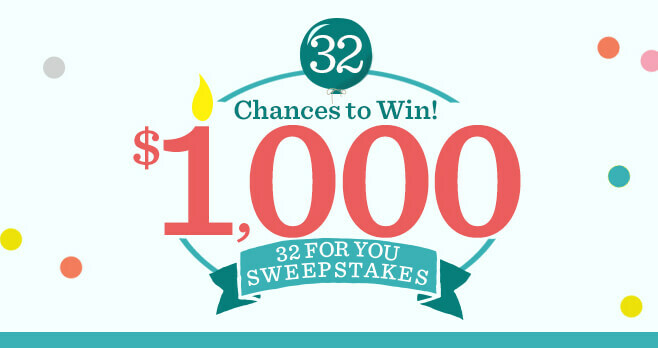 So many Sweepstakes to enter! Keep up with the SweepstakesLovers daily email. We are also on Twitter, Google+ and Pinterest. Sweepstakes Lovers is the go-to place for Sweepstakes if you want to win cash, cars, vacations & other great prizes. © 2019 Sweepstakes Lovers. All Rights Reserved.